Apple Inc. unveiled the most-significant upgrades to the Apple Watch since it first went on sale in 2015, turning the product into more of a health monitoring device. 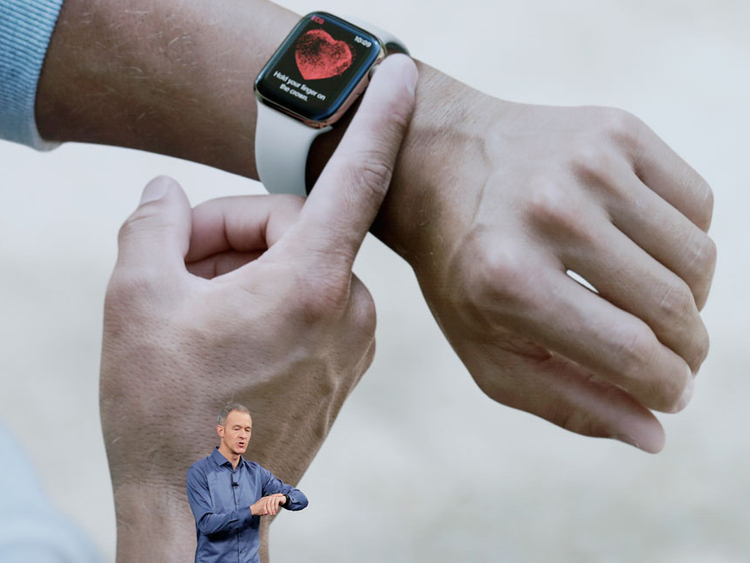 The new version, called Apple Watch Series 4, has larger screens that fit into the same overall watch sizes, and new health sensors and apps such as an electrocardiogram, or ECG, monitor. It also includes a faster dual-core processor called the S4, Apple said. The new smartwatch line was introduced Wednesday at Apple headquarters in Cupertino, California, by Chief Operating Officer Jeff Williams. Williams described the latest Watch as an "intelligent guardian of your health," noting that Apple got clearance for the ECG app from the U.S. Food and Drug Administration, the first of its kind. The Watch has more-powerful sensors so it can spot when someone has a hard fall. It delivers an alert and calls emergency services if the user doesn't move for one minute after a fall, Williams said. The ECG capability, available later this year, helps the device sense atrial fibrillation, an irregular heart rate that can increase the risk of stroke, heart failure and other heart-related complications. "The FDA worked closely with the company as they developed and tested these software products, which may help millions of users identify health concerns more quickly," FDA Commissioner Scott Gottlieb said in a statement. Health-care products on ubiquitous devices, like smartwatches, may help users seek treatment earlier and will empower them with more information about their health, he added. 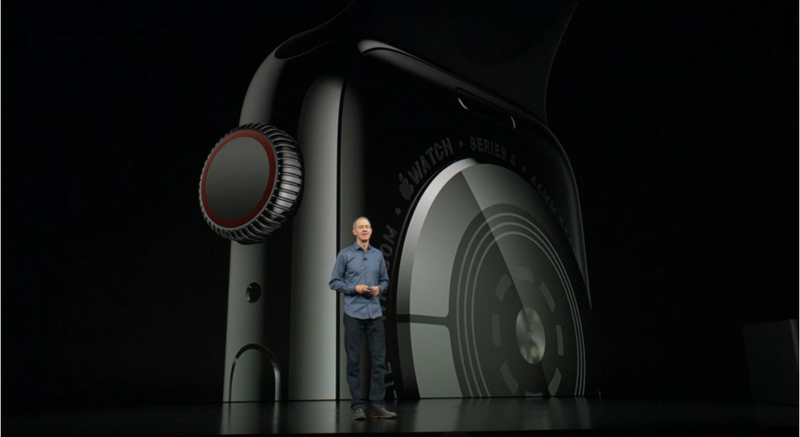 The new Watch line starts at $399, Apple said, compared with the $329 starting price of last year's model. The device has 50 percent louder speakers, improving interaction with the Siri digital assistant. The back of the Watch lets more cellular signals through, making calls clearer. Battery life remains the same. Fitbit Inc., the maker of popular fitness devices, fell more than 5 percent as Apple unveiled its Watch plans. The Apple Watch hasn't been a monster hit like the iPhone, but it's the world's best-selling smartwatch and is helping the company expand health-care related services. The Watch is part of the company's Other Products segment, which saw revenue jump 37 percent to $3.74 billion in the fiscal third quarter. Apple shipped 4.7 million watches in that period, beating rivals like Xiaomi Corp. and Fitbit, according to IDC. The debut of the new Watch line comes just days after Apple said in a letter to the U.S. government that proposed tariffs on goods imported from China could raise the price of Apple Watches and other Apple products.